Alpha Class for 2018 will be an aircraft design competition and exposition. 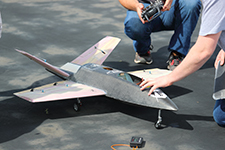 Teams are invited to demonstrate their ability to quickly design, develop, and test a fast attack / sensor deployment UAV. 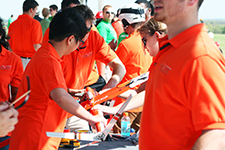 Each team will perform flight demonstrations of their prototypes, as well as host an exposition of their design to industry judges as well as spectators. Every person beyond the spectator line (including officials), must wear a helmet approved by OSHA, DOT, ANSI, SNELL,NOCSAE or other recognized organization that certifies safety equipment. There is a very wide variety of helmets that meet these criteria including; skateboarding helmets, bicycle helmets, construction hard-hats, etc. Caller: Stands by the pilot to call turns. Starter/Timer: (Optional) Teams may have a member assist with starting the engine on the runway, and runup prior to start. 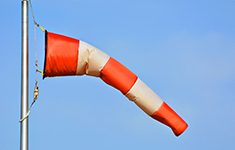 The person may also serve as a timer or additional flagman. When a team number is called for a flight, only flight crew may enter the field beyond the spectator area. All aircraft to be flown must go through an airworthiness inspection. All team members, who attend the event should be AMA members. 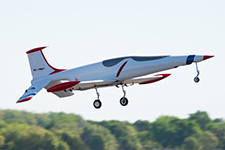 It is the opinion of the organizers that all team members, must be committed to the AMA safety code when designing, building, and flying, unmanned aircraft. Airplanes may not be run up on the mat runway to avoid burning through the mat. 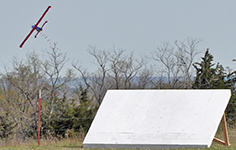 Speedfest is not an event appropriate for novice pilots. Teams should use experienced pilots with a record of safety. Safety must be the primary responsibility of every pilot. If there is some aspect of the airplane that the pilot deems unsafe, he must ensure the team takes corrective action before flight. Pilots must follow the instructions of the safety officer during flight. If instructed to abort, or even sacrifice the airplane for safety, the pilot must do so immediately without question. Pilots must never allow the airplane to cross a line defined by the West edge of the runway. If the line is crossed, power must be cut immediately, and a turn made away from the spectators. Helmets, safety glasses, hearing protection, and gloves for Flight Crew listed above. Flight Crews, advisors, and mentors should report with their airplane to have a team photo taken. Teams will be assigned a queue number. Only teams that are called to the flight line may pass the spectator line and enter the course. They must wear the appropriate safety gear. Alpha Class: Each team has an X minute window when called to the flight line. Within that window, the team must be able to set up their plane, compete, and clear the course. Failure to leave the course in the X minute window will result in forfeiting the team’s time slot in the next round. Continued violation will result in losing best score. Speedfest Teams that create promotional videos have the opportunity to be recognized at the event, and to receive awards. Videos can promote: their team, airplane, university, country, Speedfest, or any combination of these in an entertaining and informative way. Videos may be no more than 2 minutes in length total. May not refer to specific competitors teams in a negative light. May not contain material considered to be obscene by professional standards. Royalty-free music is preferred. Teams should test their videos on YouTube so that they are not removed or muted due to copyrighted music. Teams will send the YouTube link to their videos to SpeedfestAero email address no later than 7pm CST Monday,April 23, and the winner will be chosen by an appropriate method of electronic voting. There are no restrictions on who may vote. Votes will be accumulated from April 23, until Speedfest contest day. 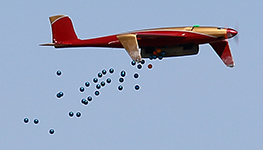 Aircraft must have flown AMA Waiver maneuvers safely before the event, or teams will be not be allowed to participate. All team members should be current AMA members. Flight crew must be AMA members. Teams may enter at any time. Optional Promotional Video due no later than April ??? 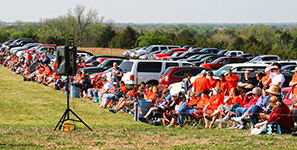 Speedfest is held at the Unmanned Aircraft Flight Station (UAFS) in Stillwater, Oklahoma. 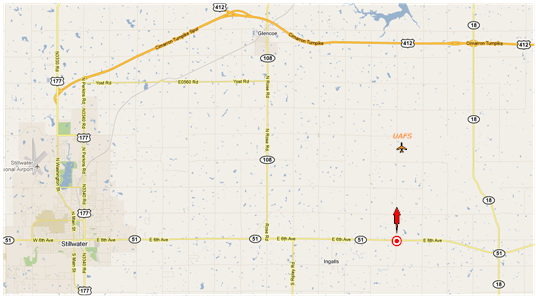 Stillwater Oklahoma is approximately 75 miles from two major airports: Tulsa International Airport in Tulsa, OK, and Will Rogers Airport in Oklahoma City, OK.
Airfield Directions: From all directions, the best way to get to the UAFS is to drive to the intersection of Hwy 51 (E 6th st.) and N. Clay Road (bulls-eye in map below). Then take Clay road north approximately 3.2 miles. The UAFS is just north of the intersection of N. Clay Rd. and E. Airport Rd. Q: How is runway distance measured for the Recover score or "operating footprint"? Can different runways be used for takeoff and landing? A: Markers will be located defining 50 ft and 100 ft lengths of runway. The mat and grass runways are adjacent, so either or both may be used for any given mission. To receive the Recover score bonus, takeoff and landing (to a complete stop) must be conducted within the appropriate markers. 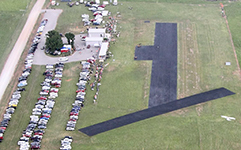 300 ft of total runway length is available and may be used if needed. Q: May any assist devices such as launchers or recovery systems be used? A: Yes. The only restrictions are that the devices must be completely within the 50/100 ft runway sections, and that nothing may be staked into the mat. If stakes are needed, the grass adjacent to the mat may be used. 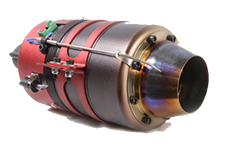 Any launch or recovery devices must be installed and removed during a team's operating window. They may not be left in place. Q: Item 3 referring to Objective 5.5 seems to say we need to use the same amount of fuel in the missions as in the range mission. Is this correct? A: Item 3 is poorly written. The intent of the rule in Objective 5.5 is that teams do not change configuration from mission to mission. For example, using one type of fuel tank for range missions and another type for Speedfest missions. The rule is not intended to dictate how much fuel teams must carry each mission. Teams may carry any fuel amount they wish for any mission.